We Help Federal Construction Prime and Subcontractors Nationwide Avoid Costly Legal Mistakes With Federal Miller Act Claims. Free Initial Consultation. 1-866-601-5518. Federal contracting officers can be wrong in their decisions. Lower court judges can also make incorrect rulings given the evidence in the record. As a result, small business and large DOD construction contractors receive unfair court decisions stemming from federal Miller Act claims. However, In many cases, the decision can be reversed with higher court appeal assisted by an experienced federal construction and Miller Act Claims appeal attorney. 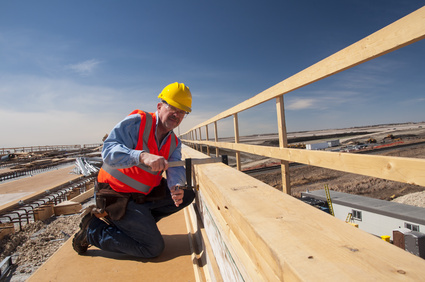 The Federal Miller Act provides certain protections for the government, first-tier and second-tier subcontractors that are material suppliers. Federal Courts will ultimately dismiss your case with prejudice because regardless of any lack of capacity of a joint venture agreement, your individual company is merely a subcontractor with no rights, privity, or standing to sue the Government over the prime contract. See Erickson Air Crane Co. of Washington v. United States, 731 F.2d 810, 813 (Fed. Cir. 1984) (“It is hornbook rule that, under ordinary government prime contracts, subcontractors do not have standing to sue the government under the Tucker Act.”). With law offices in Washington, DC and Denver, Colorado, Watson & Associates, LLC ‘s Federal Miller Act bond lawyers provide high-level legal advice and litigation support to government construction contractors seeking to either defend or enforce their legal rights. We represent prime contractors, sureties, subcontractors and material suppliers in a vast among of legal disputes involved in bond suits. Some prime and subcontractor disputes. See Information about equitable subrogration and Miller Bond Act Claims. Our goal is to help to recover monies owed and protect your rights under the Federal Miller Act performance and payment bond statutes and regulations. Our government construction law firm also serves as counsel to corporate attorneys that need assistance in navigating the complex federal regulations and surety disputes. As a former government contracting executives and lawyers, our attorneys know both sides of the argument. This gives your case a competitive edge. The federal contracting legal system can be intimidating. Many construction contractors and sureties will accept the contracting officer’s and court decisions while standing to lose hundreds of thousands and even millions. Frequently, when a Miller Act case is examined by a skilled federal contracts appeal attorney, potential causes for the unlawful decision is uncovered. The federal appeal process is designed to give you another chance to present your case before a higher court and to show that either the agency or lower court has made an erroneous decision. Call us before it’s Too Late. To Speak to a Federal Miller Act attorney, call us at 1-866-601-5518. Free Initial Consultation. 40 USC 3131 Surety Bond Suits – Who Does the Federal Miller Act Protect? First-tier subcontractors; i.e., subcontractors who contract directly with the general contractor. Second-tier subcontractors; i.e., subcontractors who contract with a first-tier subcontractor. First-tier material suppliers; i.e., material suppliers who contracted directly with the general contractor. Second-tier material suppliers who contracted with a first-tier subcontractor and not a first-tier material supplier (i.e., material suppliers that supplied a first-tier subcontractor). For help with federal government construction law, Miller Act claims, miller act payment bond disputes or litigation support under, 40 USC 3131, 48 CFR 28.203 and FAR 28, then contact one of our Federal Miller Act claim surety bond lawyers today for immediate help toll-free at 1-866-601-5518.